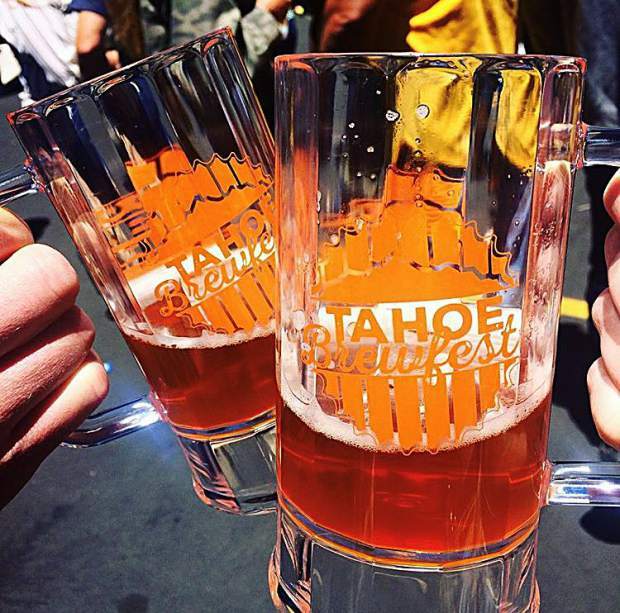 Tahoe Brewfest returns for its second year on Saturday, June 2. 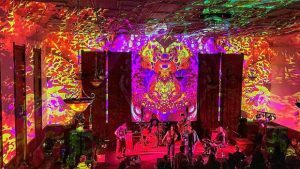 SOUTH LAKE TAHOE — One of the hottest events from last summer will make its way back to South Shore for a second year come Saturday, June 2. On that day, Tahoe Brewfest will completely transform its new venue — Heavenly’s California Lodge — filling it with roughly 30 breweries and live entertainment, food vendors and merchandise tables. Tahoe Brewfest launched last year in the Swiss Chalet Village, supplying attendees with access to local and regional breweries in a street fair-type atmosphere that encouraged guests to mingle with one another and celebrate the start of summer in the basin. It’s an ambiance that is expected to return this year at the event’s new location. “It’s brews, bites and South Lake vibes — the beautiful mountain scenery and beautiful people embodying the whole entire vibe of South Lake Tahoe,” said event coordinator Nicole Marsel, who also serves as development manager for Boys & Girls Club of Lake Tahoe. But not everything about the event will be the same: The 2018 Tahoe Brewfest is on track to be bigger and better than before. “After last year people said they wanted more beer, more bathrooms and more space,” Marsel said. It’s a message she’s taken to heart. There will likely be double the amount of participating breweries at this year’s event (there are currently 27 on the list, compared with last year’s 14), and the new venue is larger than the space at Swiss Chalet Village. “Vail Epic Promise gave us the entire 150,000-square-foot upper parking lot [of the California Lodge]. We have more space to grow the event year after year,” said Marsel. The 2018 Tahoe Brewfest will also see the addition of ciders, kombucha and craft root beer. But the event is not just about the drinks: A silent disco, along with seating areas, will make their debuts, and multiple food vendors (including Pretty Odd Wieners, The Baked Bear and The Lake House) will be onsite. There will also be merchandise from local companies like Tahoe Heartbeat and Tahoe Mountain Soap Company. “It’s family-friendly; that’s a big thing. We’re not turning away anyone with kids. 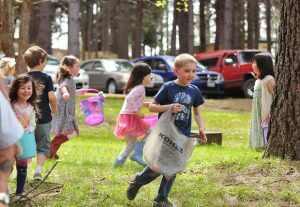 It’s really a community event,” Marsel noted. Once again the festival is a collaborative effort between Boys & Girls Club of Lake Tahoe, which is responsible for planning and organizing the event, and FNCTN, a production company that recruits live entertainment. Tickets for Tahoe Brewfest cost $35 for general admission (includes a 5-ounce sample cup and unlimited beer tasting from 1-4 p.m.) and $50 for VIP (includes a stainless steel commemorative glass and unlimited tasting from 12-4 p.m.). Guests under 21 years of age enter for $10, and children 5 and younger enter for free. All proceeds go toward Boys & Girls Club of Lake Tahoe. Interested in participating? Whether you want to feature your brewery, be a vendor or volunteer (Boys & Girls Club of Lake Tahoe is looking for help with setup and tear down), contact Marsel at tahoebrewfest@bgclt.org or call 530-542-0838. Learn more and purchase tickets at http://www.tahoebrewfest.com. Autumn Whitney is a reporter for the Tahoe Daily Tribune, a sister paper of The Union based in South Lake Tahoe.